In case of kidney stones dietary factors play a major role, especially avoiding sugar, non-fermented soy products and soda. You can prevent the formation of most kidney stones through the intake of magnesium and abundant drinking quality, clean water. The greatest risk factor is an insufficient water supply. What are kidney stones and why do they occur? Kidney stones are formed when minerals crystallize in the urine and form a “stone”. normally inhibit compounds in the urine this crystal formation. In some people stones form when the urine contains more crystal-forming substances such as calcium and uric acid as available liquid for dilution. This can happen if the urine strongly acidic or strongly alkaline is. The tendency to form kidney stones is primarily dependent on how well or how badly calcium and other substances in the body can be eliminated. Sometimes the underlying cause is a metabolic disorder or Kidney Disease , or certain medications such as Lasix (furosemide), Topamax (topiramate) and Xenical which can promote the formation of kidney stones. Often there is a combination of factors , which creates a favorable environment for the formation of kidney stones. Various types of kidney stones. The most common type (in four out of five cases) is usually a stone of calcium oxalate. Oxalate is found in some fruits and vegetables. However, our liver the place where is most of the oxalates are produced. 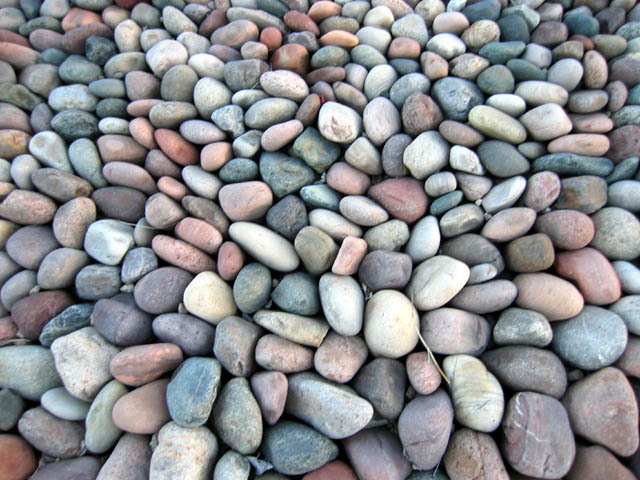 If these types of stones at you is found, your doctor may recommend avoiding foods , which are rich in oxalic acid how dark green vegetables, nuts and chocolate. These frequent in women kidney stones are almost always the result of urinary tract infections. This is a byproduct of protein metabolism . They are often found in conjunction with gout and can be caused by certain genetic factors and disorders of the blood-producing tissue. But fructose increases uric acid, and there is evidence that the fructose consumption helps to increase the rate of kidney disease. This represents only a small percentage of kidney stones from and result of a hereditary disease, which brings the kidneys to huge amounts of certain amino acids (cystinuria) excrete. When is medical attention for kidney stones needed? If the stone is small, it will go unnoticed by the urinary tract, but if it is large, it can cause unbearable pain. The size of the kidney stones ranging from the size of a grain of sand up to the size of a golf ball. If a stone can not exit by the natural urinary ways then it can cause permanent damage to the urinary tract . That’s something you can not ignore. It caused a lot of pain – in most cases is considered to be the best solution, the stone in a natural way to get rid of. This could take days or even weeks. The key to this is – drink enough pure water (fruit juices are here forbidden) – to the concentration of solids in the urine decreases and the stone can be solved. Most kidney stones are left in a natural way, without medical intervention your body back. In some other cases, if the stone blocks the flow of urine, this can also cause damage in kidney tissues ; so you still medical interventions required. There are several medical procedures and surgical techniques that used to remove kidney stones. The risks are high enough that the doctors usually shy away from them, unless there is no other choice. Fortunately, there are now some advanced options other than surgery. This treatment brings water into the body, the sound waves break with the help of the water then the stones under the water, so they like pebbles are small and can leave the body by natural ways. This treatment can continue for days or weeks. You can prevent occure of kidney stones with lifestyle changes. The number one risk factor for kidney stones is not drinking enough water. If you do not drink enough, your urine will contain higher concentrations of substances that can form stones. It is recommended to drink enough water to produce at least 2 liters of urine in every 24-hour period. An easy way to know if you have been drinking enough water is to check the color of urine: The urine should have a slightly yellowish color. Everyone has a different need for water, depending on body system and physical activity. Therefore, pay attention only to the color of your urine, which should always be slightly yellowish, which is the best way to prevent kidney stones.Remember to increase your water intake if you are intensive physical activities or operate the in a warmer climate. If you take multivitamins or vitamin B supplement, please remember that the vitamin B2 (riboflavin), and thus the color of your urine is very pale yellow, almost fluorescent, so please pay attention to the water intake recommendation in order they are hydrated enough definitely. Magnesium is responsible for more than 300 biochemical reactions in the body and a deficiency of this mineral has been linked to the formation of kidney stones. Magnesium plays a very important role in the body in the absorption and assimilation of calcium. If you consume too much calcium and insufficiently magnesium, excess calcium as can actually be toxic and help health problems, such as cause kidney stones. If you opt for a supplement with magnesium , it is important to understand that it’s complementary partner is calcium. So you should take both to themselves. You will usually have to take twice as much magnesium in relation to calcium intake. Avoid sugars including fructose and soda. A diet high in sugar promotes the formation of kidney stones, since sugar interferes with the mineral relationships in the body by interfering with the calcium and magnesium absorption.Consumption of healthy sugar and soda of children is an important reason why children aged 5 or 6 years already can develop kidney stones. A study found that drinking soda promotes the conditions in the urine, leading to the formation of calcium oxalate kidney stones. Sugar can affect the kidney size and cause pathological changes in kidney and lead to the formation of kidney stones. It is more prone to kidney stones if you’re bedridden or sitting for professional reasons for a long time because the limited activity can cause the bones to release more calcium. Physical exercise will also help you to avoid high blood pressure or relieve: this is also one of the prerequisites for an increased risk of developing kidney stones. In the past, the people affected by kidney stones have been warned to avoid foods with high calcium content, because calcium is an important component of most kidney stones.However, there are now signs that the avoidance of calcium can cause more harm than good. The “Harvard School of Public Health” examined in a study more than 45,000 men. The men whose diet was rich in calcium had a lower one-third the risk of developing kidney stones than those men with diets that were low in calcium. It turned out that a diet that is rich in calcium, actually blocked a chemical action that leads to stone formation. It combines with oxalates (of food) in your gut, which then prevent both be absorbed into the blood and later transferred to the kidneys. Note a diet plan that shows you step by step, what types of foods you should eat to prevent kidney stones. Soybeans and iodine-containing foods can promote kidney stones in people who are prone to kidney stones, because they have high levels of oxalates, which can form kidney stones together with excess calcium. This is just one of the reasons why unfermented soy – the type that in soy milk, soy burgers, soy ice and even Tofu appears – is not a health food. If you want to enjoy the health benefits of soy, select fermented soy products . After a long fermentation process the phytates are (responsible for the uptake of essential minerals your body) and the anti-nutritional content of soy beans (including oxalates) reduced and the beneficial properties of soy are your digestive system. As you can see, are the best and most natural ways to prevent kidney stones, very simple, if you are only willing to make some changes in your lifestyle.